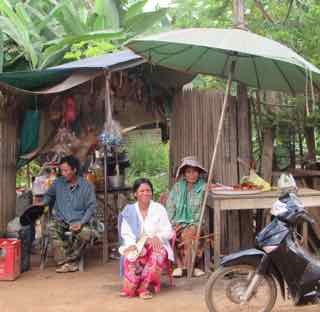 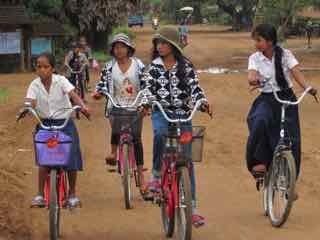 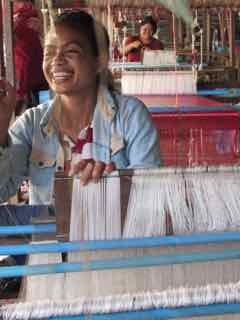 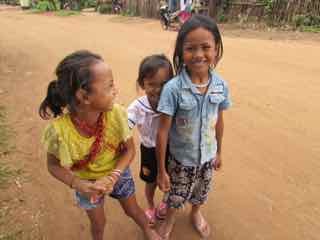 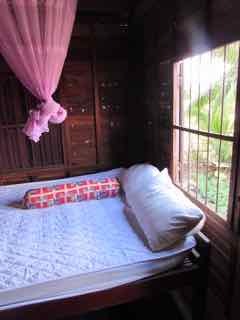 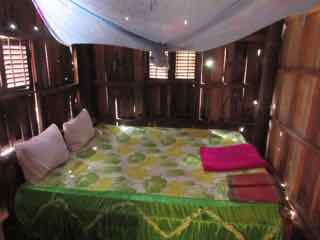 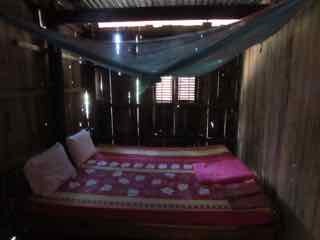 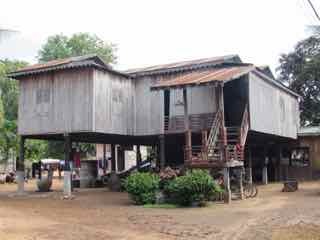 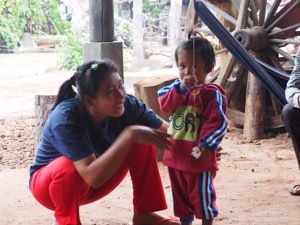 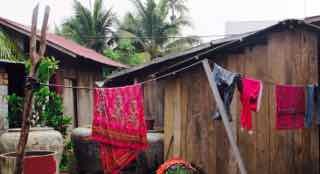 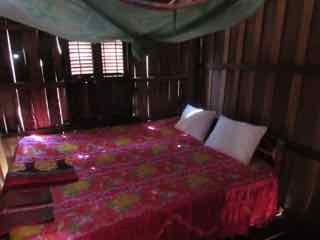 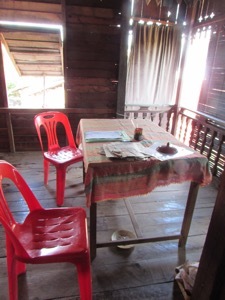 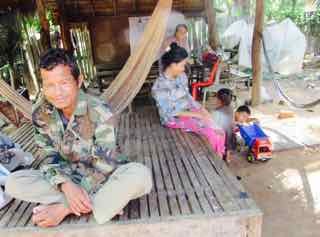 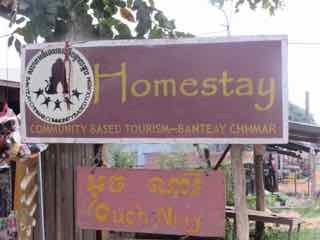 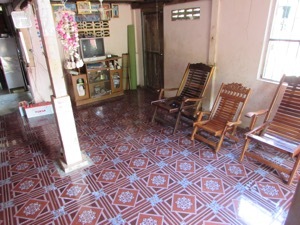 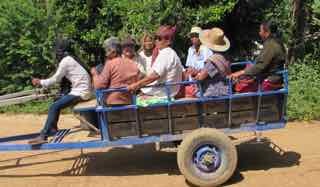 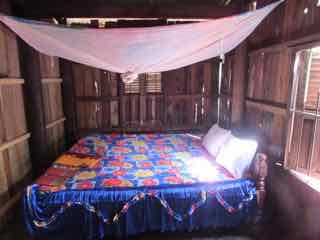 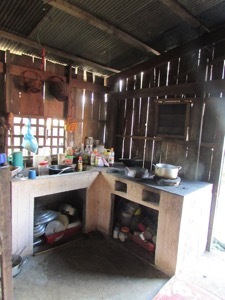 The Bateay Chhmar Community Based Tourism (CBT) Homestay Program in northern Cambodia, close to the Thai border is well worth considering for your Cambodian itinerary. 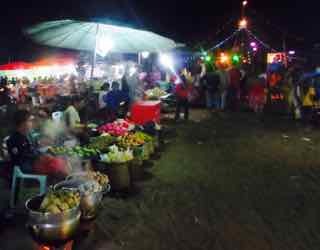 This innovative and entrepreneurial initiative offers visitors a chance to really interact with locals who are just so friendly and welcoming that it’s worth visiting just to experience such while community hospitality. 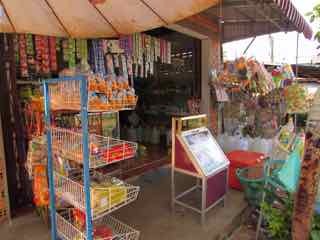 It’s amazing value and all profits are shared amongst the local community. 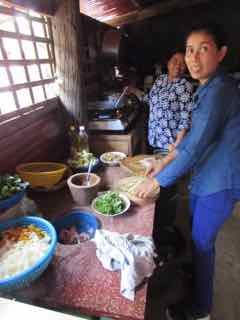 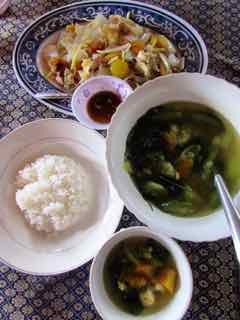 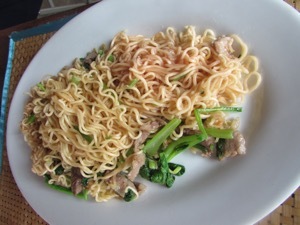 While homestay arrangements are basic, and would be very hot in hot weather, meals are good and it’s great fun to wonder and ‘chat’ to locals. 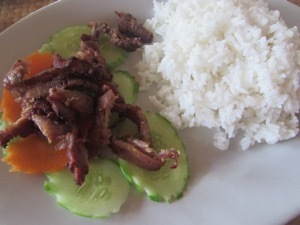 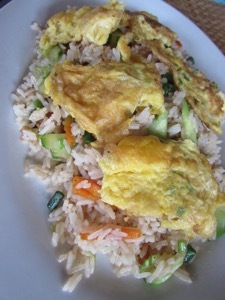 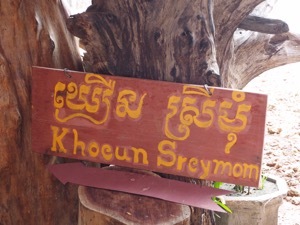 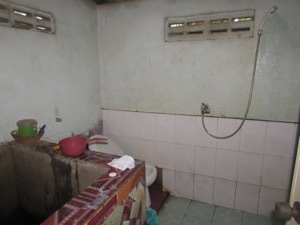 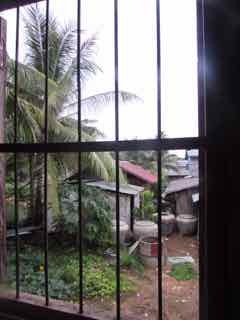 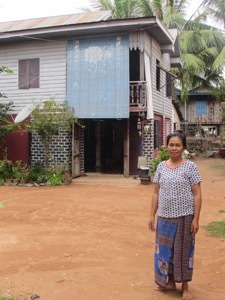 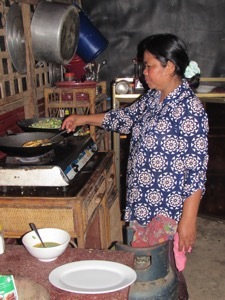 Homestay Khoeun Sreymom is a good pick if you have a choice as the CBT co-ordination Mr Sopheng speaks good English. 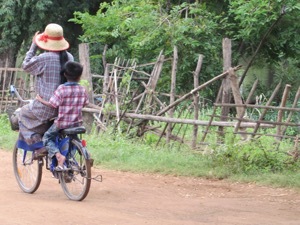 His wife and daughter are delightful. 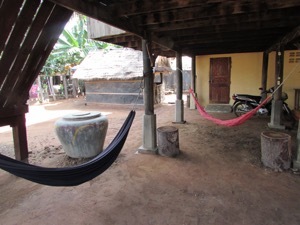 There are also hammocks for relaxing. 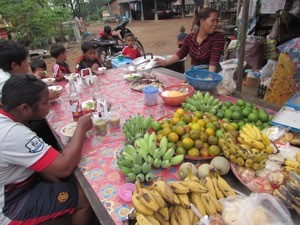 The corner shop sells great Khmer cakes at around breakfast time. 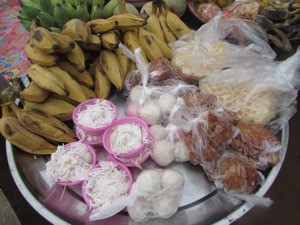 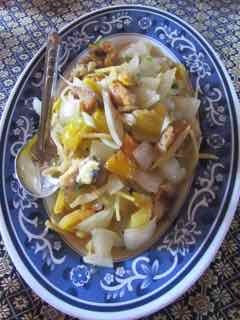 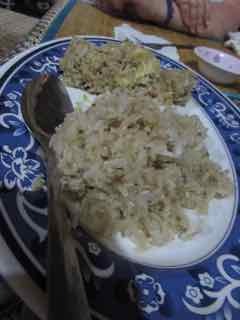 The gelatinous rice cakes with palm sugar and coconut are wonderful. 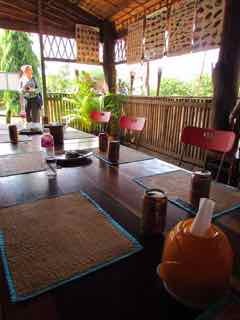 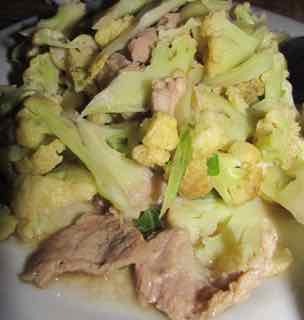 Meals can be eaten at the CBT restaurant and it’s possible to watch it being prepared, and even help. 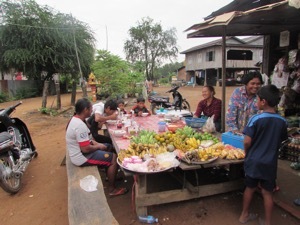 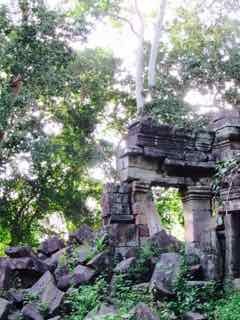 Visits to the Banteay Chhmar temple can be arranged and for around $6-$10 US depending on the size of your group, you can have a picnic dinner or lunch at the temple. 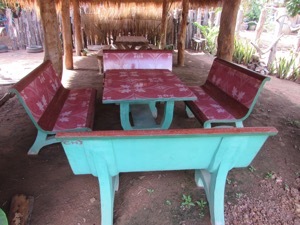 The best times for picnics are December to May when it’s dry and insects are not a problem. 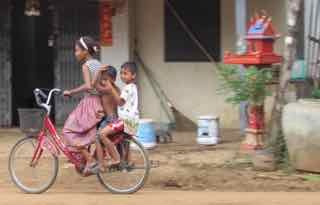 You can also hire a bike for $1.50 a day. 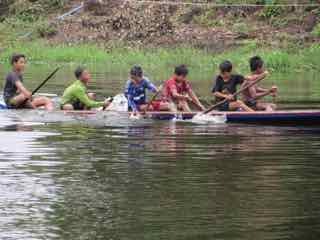 Visiting around the time of the Water Festival in October/November is fun as teams prepare for the boat races and families enjoy the local night festival. 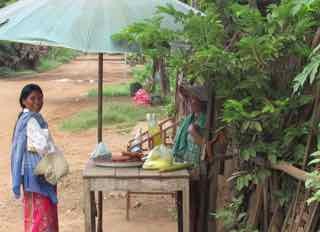 Pick ups from Battamband and Soen Reap can also be arranged.